Turbo trim. GREAT MILES 24,829! EPA 33 MPG Hwy/27 MPG City! Heated Leather Seats, Telematics, Auxiliary Audio Input, Brake Actuated Limited Slip Differential, Keyless Start, Turbo Charged Engine, Aluminum Wheels, Back-Up Camera READ MORE!======KEY FEATURES INCLUDE: Leather Seats, Heated Front Seat(s), Back-Up Camera, Turbocharged, Premium Sound System, Satellite Radio, Auxiliary Audio Input, Telematics, Aluminum Wheels, Keyless Start, Brake Actuated Limited Slip Differential Rear Spoiler, MP3 Player, Keyless Entry, Steering Wheel Audio Controls, Child Safety Locks. ======EXPERTS ARE SAYING: KBB.com's review says . 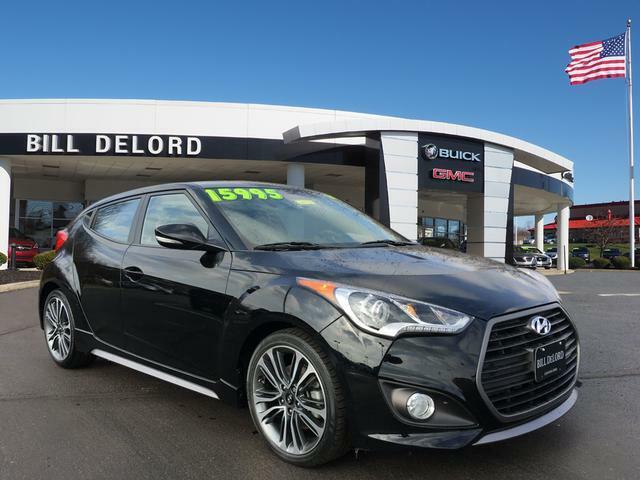 a turbocharged compact with impressive power, fuel economy and performance credentials, plus stand-out styling and that unique third door.. Great Gas Mileage: 33 MPG Hwy. 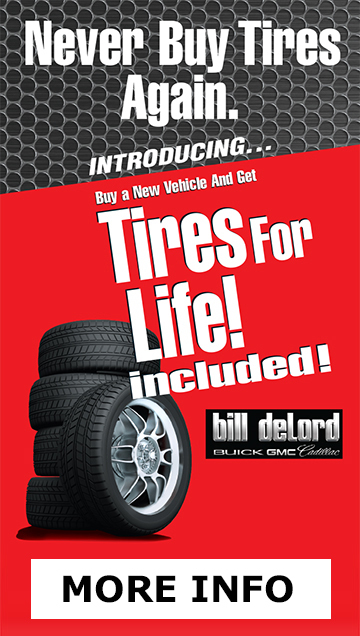 ======WHO WE ARE: As the #1 volume Cadillac dealer in Warren County, Bill DeLord Buick GMC Cadillac is bound to have the vehicle you're looking for. Find out why we come so highly recommended by taking a drive to see us at 917 Columbus Ave in Lebanon, OH. Fuel economy calculations based on original manufacturer data for trim engine configuration. Please confirm the accuracy of the included equipment by calling us prior to purchase. Turbo trim. GREAT MILES 24,829! EPA 33 MPG Hwy/27 MPG City! 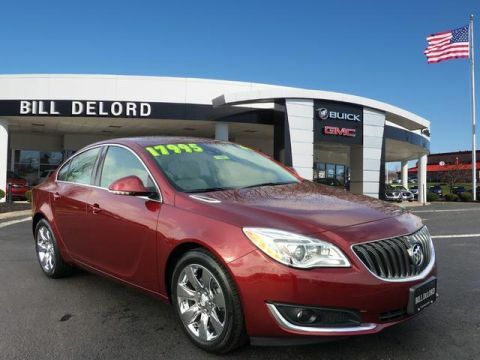 Heated Leather Seats, Telematics, Auxiliary Audio Input, Brake Actuated Limited Slip Differential, Keyless Start, Turbo Charged Engine, Aluminum Wheels, Back-Up Camera READ MORE! KEY FEATURES INCLUDE: Leather Seats, Heated Front Seat(s), Back-Up Camera, Turbocharged, Premium Sound System, Satellite Radio, Auxiliary Audio Input, Telematics, Aluminum Wheels, Keyless Start, Brake Actuated Limited Slip Differential Rear Spoiler, MP3 Player, Keyless Entry, Steering Wheel Audio Controls, Child Safety Locks. EXPERTS ARE SAYING: KBB.com's review says . 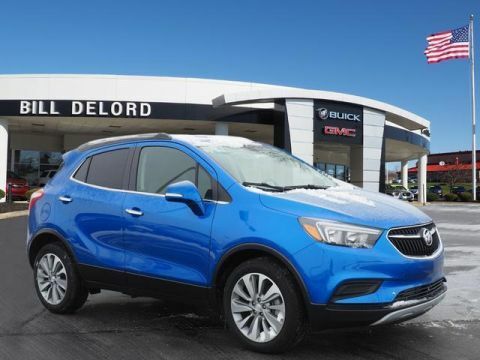 a turbocharged compact with impressive power, fuel economy and performance credentials, plus stand-out styling and that unique third door.. Great Gas Mileage: 33 MPG Hwy. 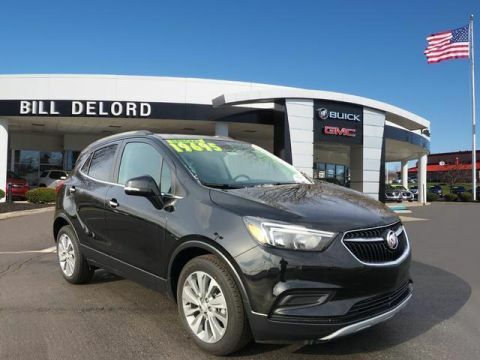 WHO WE ARE: As the #1 volume Cadillac dealer in Warren County, Bill DeLord Buick GMC Cadillac is bound to have the vehicle you're looking for. Find out why we come so highly recommended by taking a drive to see us at 917 Columbus Ave in Lebanon, OH. Fuel economy calculations based on original manufacturer data for trim engine configuration. Please confirm the accuracy of the included equipment by calling us prior to purchase.